Convert BPG to TIFF plus resize, rotate and more. 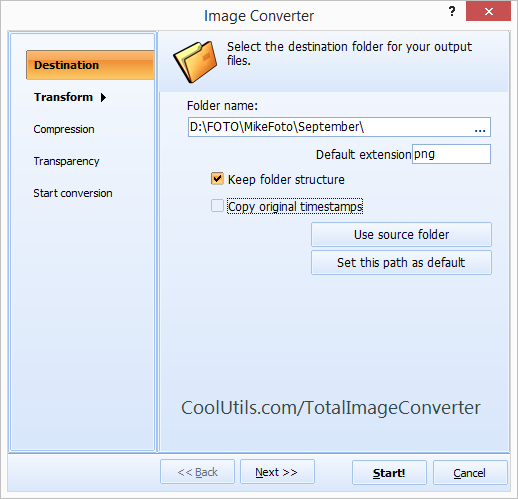 You are here: CoolUtils > Total Image Converter > Convert BPG to TIFF plus resize, rotate and more. When it comes to digital images, it seems new formats are always being released. Often this happens before the programs that would use them are even ready. In that event, it becomes necessary to convert new formats into older formats so that they can be recognized by your older apps. 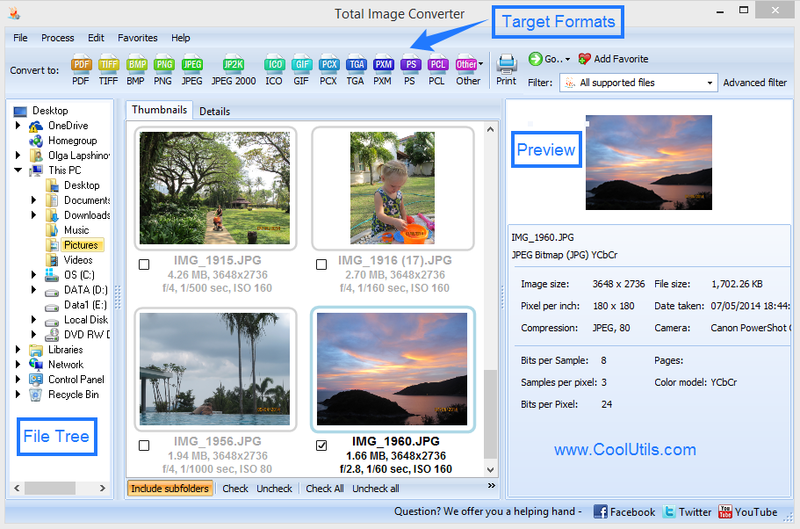 Here at CoolUtils, we've added BPG support to our award-winning batch image converter. 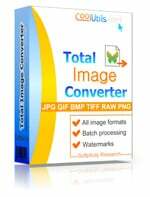 Now you can convert BPG to TIFF (and many other more easily-recognized image formats) with a few quick clicks. If you're thinking that sounds complicated, don't worry. Our converter is so easy to use that you won't need to know how to convert BPG to TIFF; let the app do it for you! The BPG to TIFF converter also features a command line that allows for behind the scenes automation. Integration with the Windows OS. Modify and convert image files in batch. Use command prompts in run environment. For only $24.90, you can add this tool to your collection. You'll get a lifetime license, access to tech support and free upgrades for a year. Not sure yet? Our free 30 day trial download gives users a chance to test drive the converter; give it a try before you buy! We're convinced that once you see how much time can be saved using the Total Image Converter, you'll agree that this is one cool tool!